Building the knowledge culture is of increasing importance, not only because of its role in providing sound knowledge management and effective knowledge-based economic development, but also because of its support to environment protection, intercultural harmony and human well-being. This paper provides a review of the knowledge culture and its related issues, and introduces a development framework for building this culture. 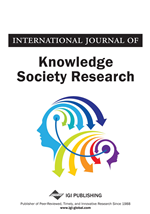 The proposed framework integrates the main knowledge activities of knowledge generation, diffusion and utilization into an activated “Knowledge Circle: KC”. It uses the five-domain structure of “Strategy, Technology, Organization, People and Environment: STOPE” to map and interrelate the various issues associated with the knowledge culture. In addition, it adopts the “Six-Sigma” principles, and its continuous process of “Define, Measure, Analyze, Improve and Control: DMAIC” as an approach to the work toward building the target culture. The paper calls for building the knowledge culture, not only at an organization, or a country level, but also at the global level. It provides its KC-STOPE with Six-Sigma framework for this purpose and strongly recommends its use for future development toward building the target culture. This section is concerned with providing a background on the work presented in this paper. It defines what is meant by culture, and gives some examples. The multicultural nature of the world and the process of cultural evolution are also taken into account. The importance of knowledge and the emergence of the knowledge culture, as a potential common world culture that supports development and intercultural understanding, are also considered. The work presented in this paper is then introduced. Culture has been viewed by Edward Taylor, the 19th century scholar, as “that complex whole which includes: knowledge, belief, art, morals, law, custom and other capabilities and habits acquired by man as a member of a society” (AAE, 1981). With such complex features, the impacts of various cultures on the world are not always positive, but they can also be negative. Simon Blackburn, a Cambridge university professor, said: “culture gave us the English language, the symphony and the i-Pod; and it also gave us guns, Gulag and Guantanamo bay” (Blackburn, 2008). In these words, Blackburn emphasized the fact that culture can produce both: good and bad outcomes for humanity. On the one hand, the English language, like any other human language is a precious mean for human communication, the symphony is a fine enjoyable art, and the i-Pod is a useful technology. On the other hand, guns are harmful technology products, and Gulag and Guantanamo bay are examples of terrible human detention camps established by the former Soviet Union and the USA respectively. Looking at the multicultural nature of the world, following the end of the cold war, Samuel Huntington, a Harvard University professor, warned from clash of civilizations, and identified eight main world cultures with different conflict potentials (Huntington, 1996). However, various organizations called for intercultural dialogue toward harmony and pluralism. They emphasized the need for and the feasibility of avoiding, or even preventing such clashes (Bakry & Al-Ghamdi, in press). In addition, the 21st century directions of many higher education (HE) institutions included equipping HE graduates with intercultural competence, that is the ability to move comfortably between different cultures (Bakry & Alfantookh, 2009). Culture has the feature of being under continuous evolution. It has been considered that this evolution has led to the transformation of human societies from savagery to barbarism, and from barbarism to civilization. The 20th century scholar V. Gordon Child viewed civilization in terms of cultural and technological achievements (AAE, 1981). Both of these achievements are associated, of course, with knowledge activities. Knowledge, in the present age, has reached an unprecedented volume, an exceptional rate of growth, and an unmatched worldwide sharing and manipulation capabilities offered by the information and communication technology (ICT) and its continuous progress (Bakry, 2005). Although knowledge has always been power, as emphasized by Francis Bacon, who lived in the 16th century (Wikipedia, n.d.), knowledge in our age can perhaps be described as the most important power in our contemporary life. It is inside many good things and unfortunately many bad things too: from useful business products and services to horrible warfare tools; and from mutual respect and understanding to sectarianism and hatred.